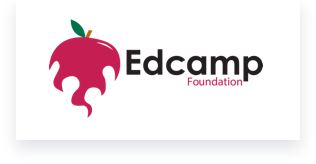 The mission of the Edcamp Foundation is to build and support communities of empowered educators. EdCamp Foundation sent a check for sponsoring our EdCamp C-F RESA and some swag for participants. We will use the funds for a meal for our participants. Flipgrid is the leading video discussion platform for millions of PreK to PhD educators, students, and their families around the world. Flipgrid promotes fun and social learning by giving every student an equal and amplified voice in discussing prompts organized by the educator. Flipgrid is sponsoring a $50 gift card (for food/drinks/supplies), three Flipgrid Classroom Year-Long Licenses ($65 value each), and some swag to give away. iPevo: The company's design mantra “do more with less” means the product’s essential purpose—what it does—is never interfered by complicated operations or cumbersome features and is less expensive for educators. iPevo is offering an Ultra High Definition USB Document Camera for one lucky participant. Every participant will receive a PageStay to stop book pages from flipping in use with doc cameras. MobyMax is available to help struggling learners quickly catch up to grade level and close learning gaps for all your students. EdCamp teachers will receive a 1-year MobyMax Teacher Pro license ($99 value each). JogNog - Practice and assessment covering standards for grades 2-12 in Science, Math, ELA and Social Studies. Participate - Become a stronger educator through Participate's continuous learning platform of chats, collections, and courses. Participate is sending a swag pack for every participant. Flocabulary starts with engagement and leads to literacy - Songs and Videos for everything! Flocabulary is offering a free SCHOOL-WIDE trail. Each school will have access to our site for all teachers and students, and will be able to view 950+ songs and videos, as well as lesson plans and activities. iBallz is the ultimate in tablet protection. iBallz has sent coupons for discounts for each EdCamp C-F RESA participant on their many products including cases for iPads, Shoulder bags for Chromebooks and laptops, and rugged "Handle" Cases. They are also sending two tablet protectors for two lucky teachers. Edmentum is adaptive curriculum, assessments, and practice proven to improve student achievement. Edmentum offers a chance at an Amazon gift card to all participants at EdCamp. Participants can also enter a national contest for a trip to Barcelona to visit Edmentum headquarters. Chromville World: The answer to every teacher and parents' desire to develop their children's creativity through technology. All Edcamp C-F RESA Participants will receive a certificate with code for a free license that includes the Science App, Classroom Materials, and 3d Printable Figures. Register as a teacher to use the Chromville Science app in 25 devices at the same time. Texas Instruments offers everything from calculators to robotics. TI will be sending a donation and swag bags for participants. Buncee​ is a creation and presentation tool with unlimited possibilities for bringing learning to life. It is transforming people of all ages into creators, storytellers, and future-ready digital citizens. Buncee will be sending swag and other items for participants. The Maker Promise is a campaign to equip more schools with the resources and support they need to provide quality maker learning experiences for their students. Participants will receive a certificate with information on signing the Maker Promise. They then receive opportunities and resources to support their efforts to bring maker learning to their students. One free circuit-arcade will be given to a lucky winner at the EdCamp. Seesaw - student driven digital portfolios. Seesaw motivates students to work harder and to do better because they want to display their work, not only for their parents, but also for their teachers and the administration too. Seesaw is offering a one year subscription and a t-shirt to the lucky participants chosen. All participants will receive a one month free subscription to Seesaw if they register and a flyer listing 100 Ways to Use Seesaw. BreakoutEDU- an Immersive learning games platform. It's time for something different. All participants who register that they attended EdCamp in May will be entered in the monthly giveaway for a BreakoutEDU kit. StoryboardThat: Powerful Visual Communication, Made Easy. StoryboardThat is offering one certificate ($400 value) for 3 multi teacher accounts with a Teachers Pay Teachers content selection and one hour private training session. Padlet is the easiest way to create and collaborate. Visit our Padlet Springboard for ideas for sessions for EdCamp C-F RESA. Padlet is sending swag for each participant in our EdCamp. Swivl: Video observations that strengthen and inform teachers. Swivl "follows" you as you teach. Swivl has sent two fisheye camera lenses for phones for two lucky teachers, 3 one year pro+ accounts (Swivl device not needed to use.) and some swag. Edji is a tool for teachers that focuses on increasing student reading engagement while reading. Teachers choose the content they want their classes to read and put it in Edji. They can give it out to their students with a simple code, and their students interact with the text by highlighting and making comments. Edji has sent codes for one free year of Edji Hero to three lucky participants in EdCamp C-F RESA. Pear Deck was founded by educators on a mission to help teachers engage every student, every day. With solutions rooted in active learning and formative assessment, we make it easy for you to connect with learners of every age and ability. Pear Deck sent a t=shirt for one lucky teachers and swag for many participants. Thanks to our sponsors who make EdCamp C-F RESA Possible! Check back as sponsors will be added.